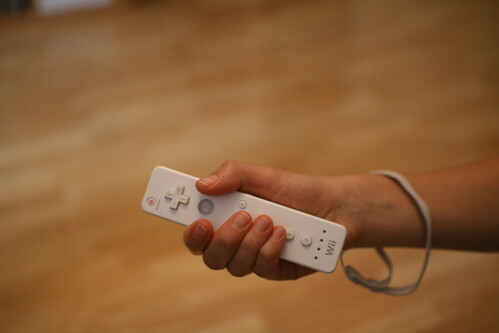 Interesting discussion yesterday at the game studio around the holding of the wiimote. 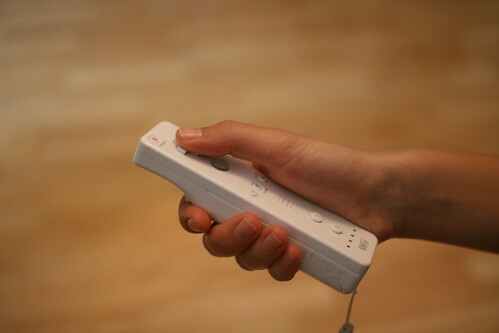 Surely one the topic that emerged from the usability tests of wii games we conducted, especially with people who've NEVER touch a video game console. 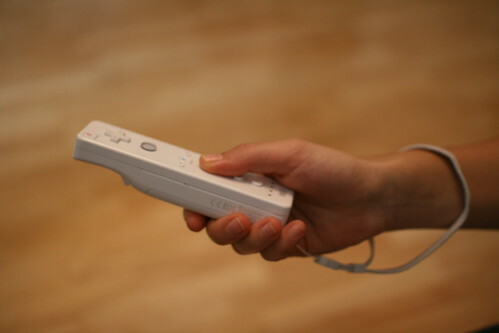 The first picture represents the regular wiimote holding scheme whereas the two other shows how a novice user held it when playing different mini-games. Some of the issues the tests raised: How do we design applications for the B button in the previous cases? What about the 1 and 2? Can we use them in the interaction? Should the A-button be important so that the thumb or the second finger? Is the "plus" button the right one to break scenes? What about the cross? What's the role of the direction cross with these two ways of holding the wiimote?